Locos were lettered DPC #1001 & 1002. The two units were apparently used to build the Holabird Ordnance Depot at what before the war was Ft Holabird (and later reverted to that name again) in Maryland. The 1001 later became USAF 7370 at Griffiss AFB, Rome NY. 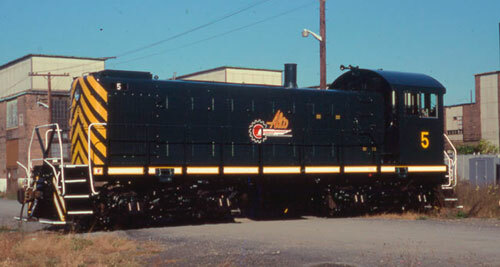 The 1002 was re-#d US Army 7371 then donated to Western Pennsylvania RR Historical Society, and lastly to Ashtabula Carson & Jefferson Railroad 7371. Locomotive was assigned to Schenectady Yard; re-#d 2576 (same location) and then drops off the radar. Sources of information: Extra 2200 South, Diesel Era, The Short Line and The Canadian Trackside Guide.